Tea Stained American Flag - Small 17" x 28"
17" x 28" American Flag indoor/outdoor Our 100% cotton flags are machine washer safe. 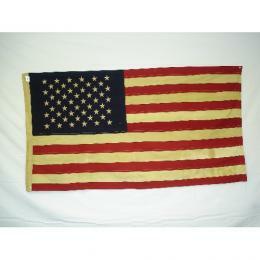 Embroiderd stars and double stitched stripes Flags may fade when placed in direct sunlight. These Girls are Absolutely Gorgeous!